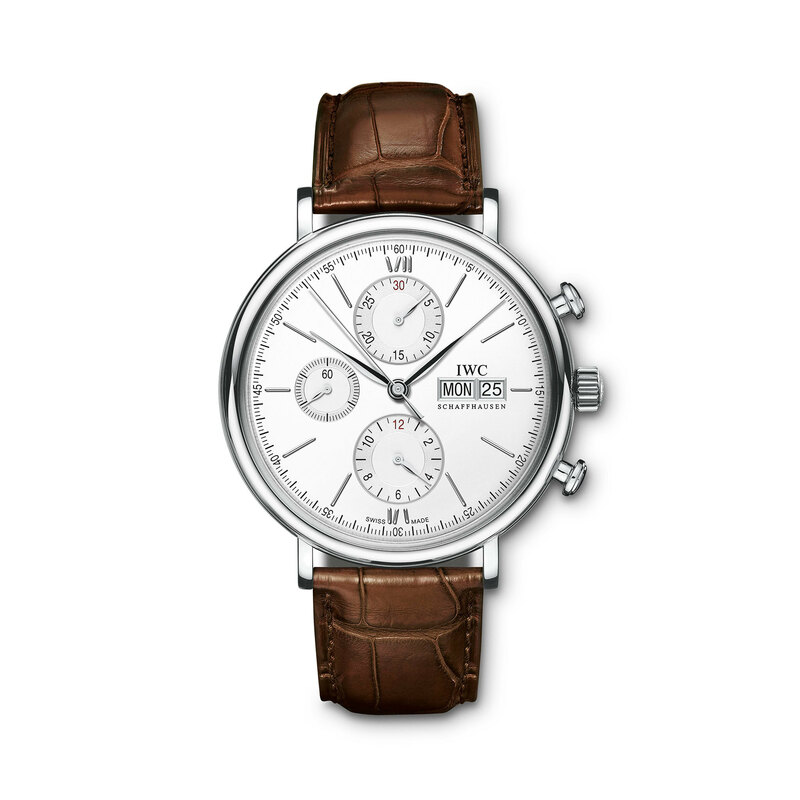 With the Portofino Chronograph, IWC offers a watch of timeless elegance. The stainless steel case presents the silver plated dial with the day and date window at three o'clock as well as three counters, the small hacking seconds at nine and the stopwatch functions for minutes and hours at twelve and six o'clock. The self-winding watch has a power reserve of 44 hours. A dark brown alligator strap adds the finishing touch.